In your dog grooming course, you’ll learn about all sorts of purebred dogs from a variety of dog groups. The course clearly outlines their behavior and temperaments as well as their breed profiles. You won’t have to do too much guesswork when working with a poodle, for instance. But once you graduate, you won’t just be working with dogs that are easy to groom. Your work is challenging for good reason! 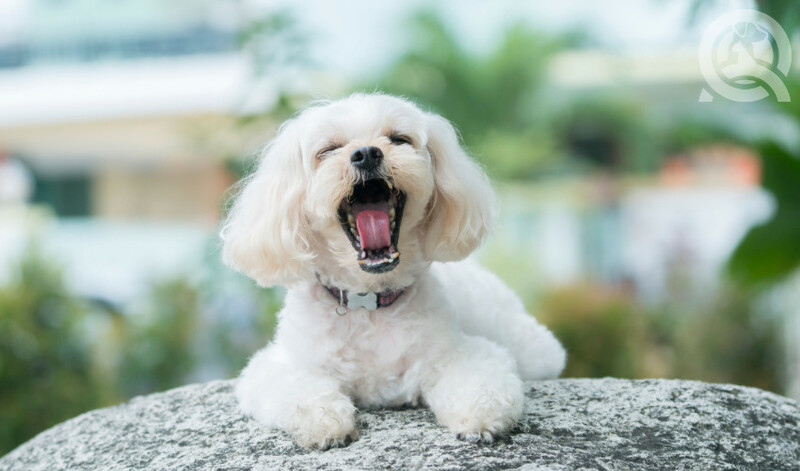 When you’re first starting out, you’ll want to ensure that you can accommodate any dog who requires your services. Not only will it strengthen your grooming versatility, but you’ll also be able to figure out how to groom mixed breeds perfectly. Looking for guidance on dog grooming styles for mixed breed dogs? Keep reading! One of the biggest challenges is that there’s no one way to correctly style a mixed breed dog. More and more people are looking outside natural breeds for their companions. You’ll notice yourself encountering dogs with all sorts of mixed heritage imaginable. These pups can have characteristics of one, two, or even five different breeds. Even more difficult is if the dog comes from an unknown heritage. You’ll have to use skills of deduction along with your knowledge of different dog groups and breeds to narrow it down and help you get started. Sporting dogs: historically bred as hunting companions, they’re highly intelligent and trainable. These medium-large-sized dogs are friendly and energetic, requiring much stimulation and exercise. 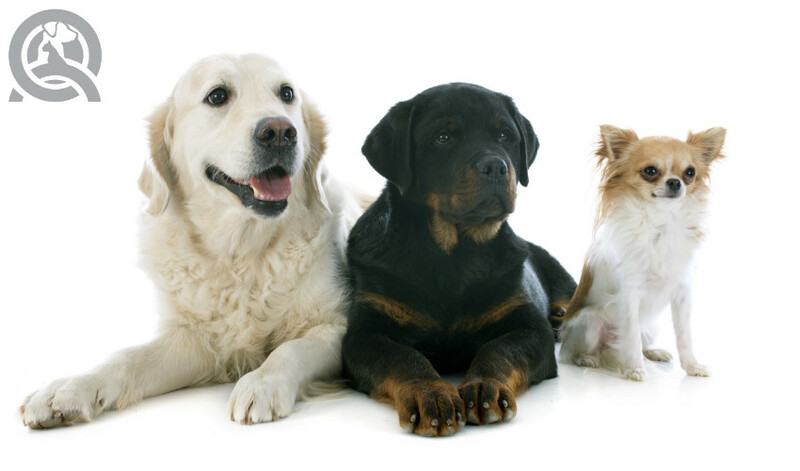 Examples include Golden Retriever, Cocker Spaniel, and the English Setter. Working dogs: typically large and headstrong, these dogs were bred to complete laborious tasks such as guarding or pulling heavy carts. Larger, powerful builds present unique accommodation challenges. Examples include Great Dane, Saint Bernard, and the Boxer. Herding dogs: a division of working dogs, herding dogs are fast, strong, and agile. These highly intelligent, obedient, and energetic dogs were originally bred for, you guessed it, herding. Examples include Border Collie, Belgian Sheepdog, and the Australian Shepherd. Terrier dogs: terriers have strong prey drives—they were bred to kill rodents and small prey. They are stubborn and often have difficulty getting along with other dogs. Examples include the Australian Terrier, Border Terrier, and the Bull Terrier. Toy dogs: these small but energetic dogs are often mini versions of larger breeds. These loyal dogs are exclusively bred for human companionship and love attention. Examples include Chihuahua, Pomeranian, and the Toy Poodle. Hound dogs: originally bred for hunting, these dogs have a heightened sense of smell and endurance. Despite being in this group, some hounds are slow and sedentary. Study up on the individual breeds! Examples include Bloodhound, Beagle, and the Greyhound. Non-sporting dogs: the non-sporting group categorizes breeds that don’t fit into the other dog groups. Dogs in this group have unique traits, temperaments, and characteristics. Examples include Dalmatian, Chow Chow, and the Bichon Frise. Dogs have a range of different coat types. Each type has distinguishing characteristics, requiring different grooming tools and techniques. These coats are fairly obvious. You should be able to examine the fur or hair of the dog and see where it stands. The least intuitive one on the list is the combination coat. Combination coats refer to a dog having both long and short hairs, rather than referring to texture. To learn more about dog coat types, download our handy guide! 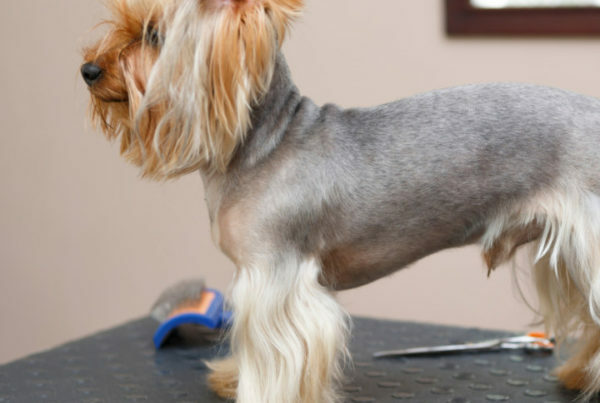 So how do you groom a mixed breed pooch? Examine the dog carefully. Use your hands and explore every facet of their bodies. 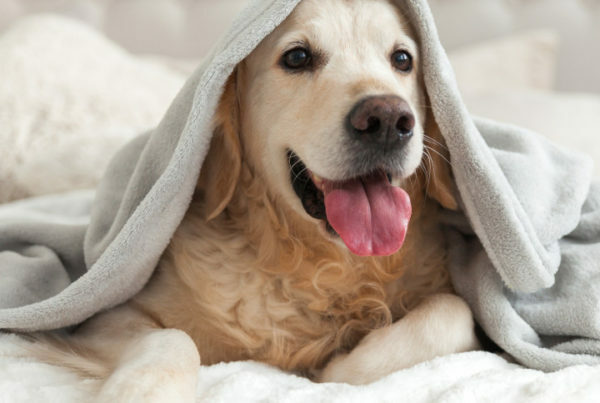 Ask the dog’s owner about the dog’s background and medical history. When you know which breed the dog resembles, you can make guesses about the dog’s temperament and coat type. Always ensure you consult with the dog’s owner before you make any drastic stylistic changes from what they’re familiar with. Discuss the types of cuts the dog has had in the past. What worked? What didn’t work? Did the cut and style complement their lifestyle? You’ll combine what the owner can tell you about its behavior with your own professional grooming training. When the dog’s background is unknown, you’ll have to do some detective work. If you see any predominant traits of a particular breed, that’s a great starting point. Of course, you’ll pay close attention to the coat type and characteristics. If the dog has a double-coat, you’ll need to de-shed the undercoat. 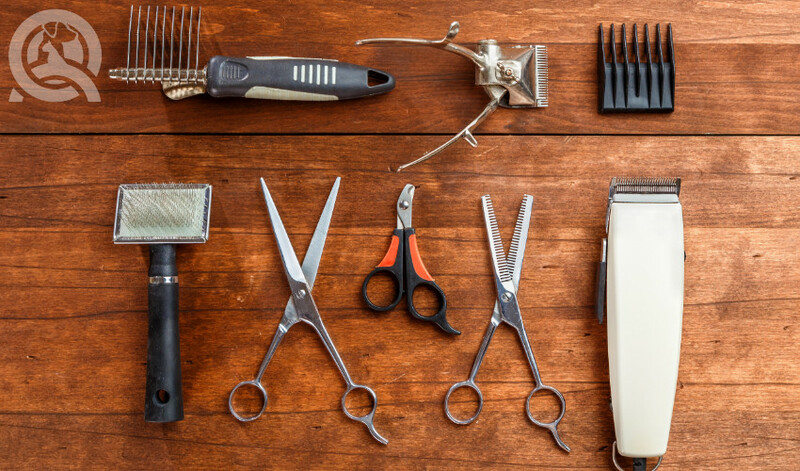 After completing the health and preventative grooming, your creativity will have a chance to shine! When in doubt, consult your grooming manual. It’ll detail all the different characteristics you should look for in a coat and build. Determine the dog’s best features and then read up on how to go about emphasizing them. Going with the natural lines for other body parts will allow you to add the right amount of emphasis while keeping the look functional. You may wish to mix and match elements from different breed profiles if they suit the dog you’re working with. If you’re completely out of ideas, a teddy bear or puppy cut is a safe bet. You can also do a kennel cut! The rest is all up to you and your imagination. Got some advice for beginner groomers? Leave a comment below! Certified and not sure where your career can take you? 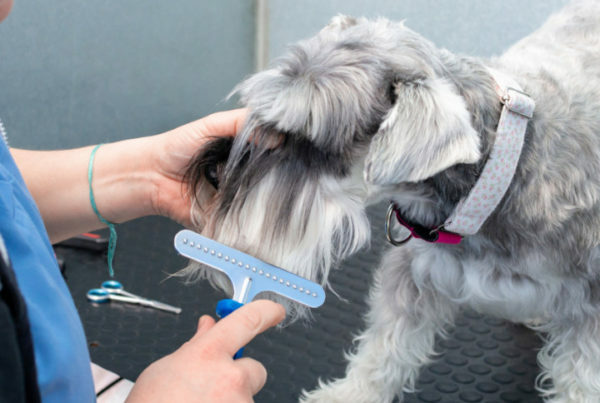 Check out these career paths for dog groomers!